Welcome to Our Equestrian Paradise! 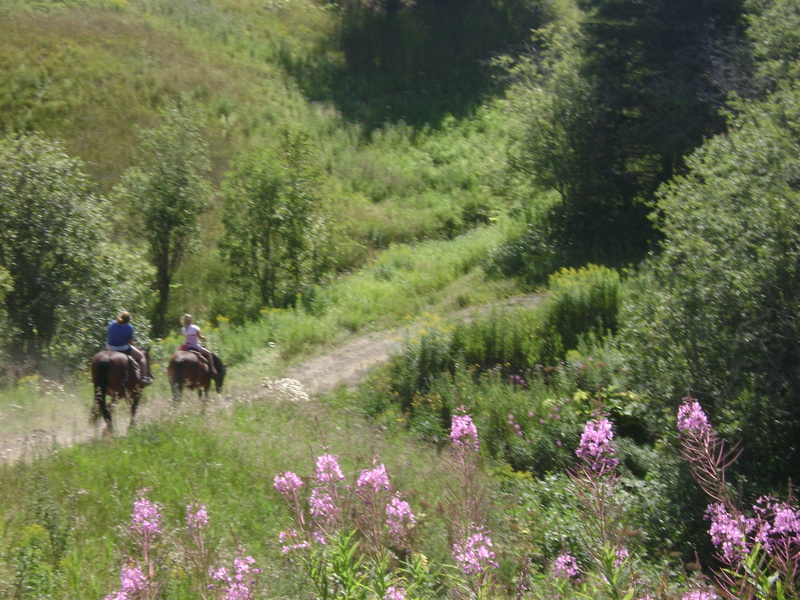 What better way to enjoy the outdors and amazing scenery of Charlevoix than on a horse back? 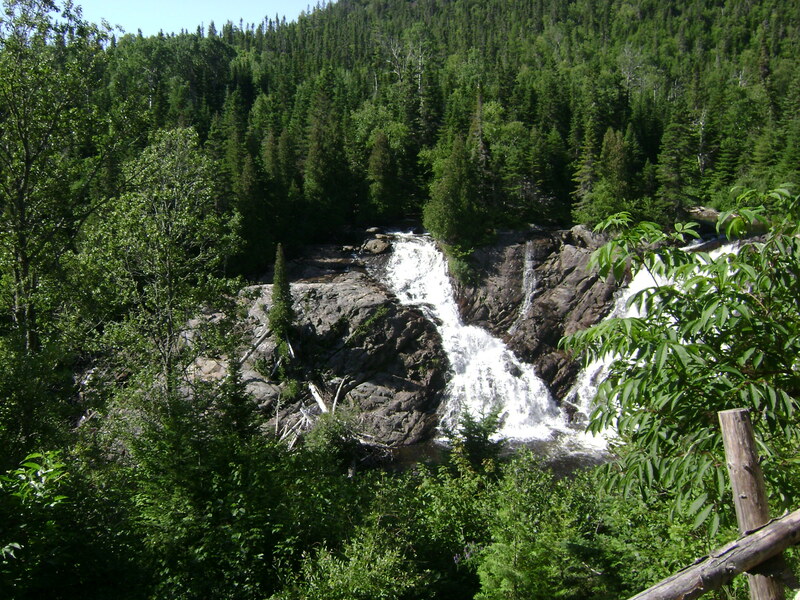 Come and discover our trails that pass through fields, forest, and follow a river all the way to a waterfall or even a cavern in the mountain! This ride is perfect for anyone. We take you through fields and into the forest, following a river all the way to a beautiful water fall where you will be able to take a few pictures to capture the moment. This trail ride is for those seeking a little more adventure... We follow the river all the way to the water fall and then continue into the forest and up to the mountainside where we tie up our horses and take a 10 minute hike up the cliff (not too speep) all the way up to the cave. 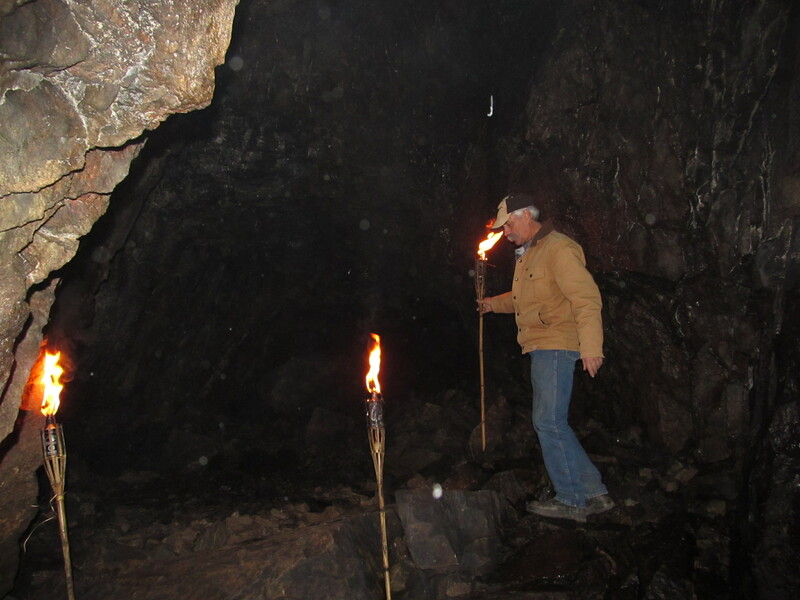 We then enter to visit the cave. ** Please note that this ride is recommended for the physically fit person. During the journey, we descend from our horse, to climb about ten minutes in a mountain, in order to show you the inside of a cave. The journey requires effort. Arriving at the cave, you will have a beautiful view of the river and the lands below. Afterwards, we go down again to take the horses, to continue the hike. Nous entrons ensuite à l'intérieur de la caverne; le contraste de température est étonnant. Par la suite, nous redescendons reprendre les chevaux, pour continuer la randonnée. Une belle activité à faire en famille ou entre amis. Notez que le trajet demande de l'effort. If you would like to camp too, please check out our packages. Can kids go on horseback rides? Yes, kids are welcome (and they love it!) from the age of 10 and older. For insurance and security purposes, we don’t allow a child to ride together with a parent on the same horse. Normally, at the age of 10 years old, a child can ride on it’s own (it still has to be verified according to weight, height and strength). For kids aged between the ages of 6 and 9 years old, please contact us to see if something can be arranged. It is now mandatory to wear a helmet to ride (insurance demand). We have helmets available for the clients. You must be comfortable, so skirts and short shorts are not appropriate for riding! As for shoes, the best would be to wear boots (not too big) or closed shoes with a flat sole and a short heal. If you don’t have perfect shoes, running shoes can do. Do I need horseback riding experience? We welcome riders of all levels, including people who have never sat on a horse before; our horses are secure and are very good at their job. We, however, ask for your complete honesty when we’ll ask your riding level, it’s a security issue! What happens if it rains buckets? We recomend you call us the morning of the ride if it rains and you’re in doubt. It is always possible to change the booking date in case of heavy rain. It is best to reserve in advance, even more so during the busiest periods (construction vacations, civic holidays or week ends) however, it is often possible to add riders on the spot. Do we need to arrive in advance? We take care of the horse’s preparation (brushing and saddling the horses) before the rides, that way we can make sure the horse and its equipment are safe. However, we suggest getting here about 30 minutes before your ride so that we can match the horses to their riders. At what time are trail rides? We build a new schedule every day in order to satisfy at best as possible the rider’s needs. We offer many departures of different lengths during the day.